What is short path distillation? Fractional distillation is a process in which one separates compounds via boiling/condensation, using a vacuum pump. By adding a vacuum, you remove the atmospheric pressure inside your system. When the pressure is lowered, you reduce the boiling points of the compounds contained within. This process makes it faster and more efficient to distill heavier molecules. Finally an answer to poorly made kits. 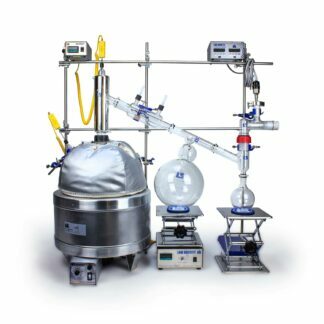 We make the world's best fractional distillation products, including complete short path distillation kits and systems. All of our patent-pending kits are made in the USA from the finest quality materials on the market.Flimsy parts? Cheap products? You won't find any of that here. You'd be amazed at how much R&D has gone into our patent-pending Short Path Distillation and Fractional Distillation products. We've stress-tested everything. We've broken everything. We've fixed everything. Twice. And we've made it better. If you see the "LS" logo, you'll know that it represents industry-leading quality. 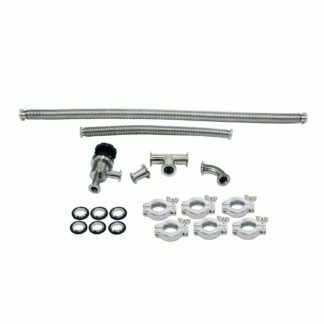 20L Short Path Distillation Kit – NEW! 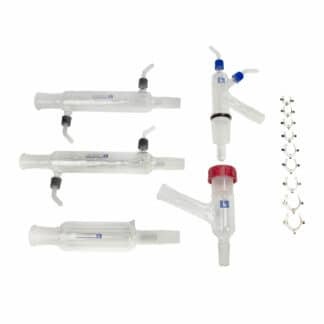 G2 Short Path Distillation Kit – Full Bore – NEW! Do you know how many years it’s taken us to create the fractional distillation kits and products we have for sale? How many redesigns of custom-made glass components that just weren’t quite right? Sometimes little manufacturing errors don’t appear until you’ve been running a unit for hundreds of hours straight. Well, we’ve done that. And we’ve noticed and improved upon common industry problems. We’ve lead the charge in the short path movement, and we improve upon our products every day thanks to industry professionals like you. Built from real industry feedback. Our competitive advantage has been listening to our customers every step of the way. We get feedback from real industry professionals every day, and we incorporate it into each new product we make. That’s how we stay ahead of the curve. 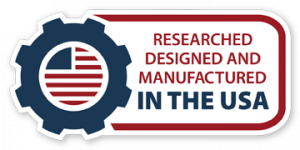 We were the first in the industry to create and develop our patent-pending technology for each apparatus and kit. 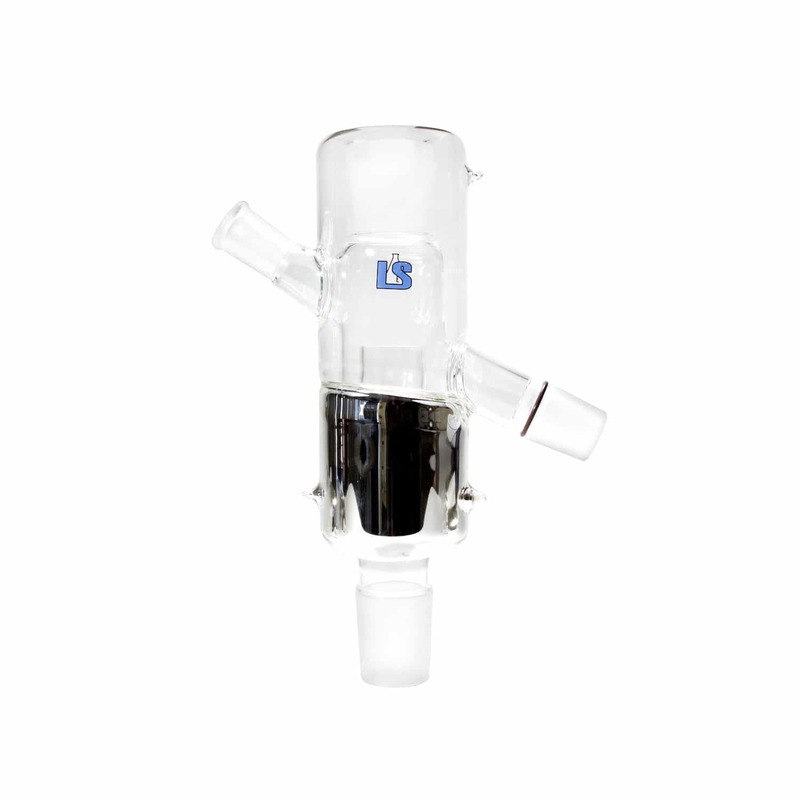 Products like our Structured Glass Packing, our entirely custom-made heating mantles (which heat from the bottom and the top), and of course, our branded laboratory glassware are all original Lab Society creations. And they’re all made right here in the USA. 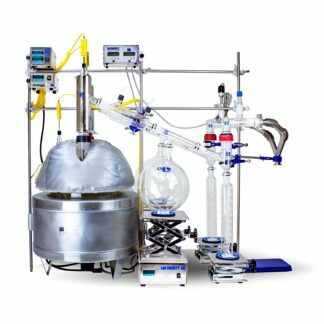 A vacuum distillation apparatus that can pay for itself. In certain industries, our kits have proven to pay for themselves in their very first run of operation. All of our kits are priced competitively while providing far greater value and longevity than other products in the space. Each kit improves the potency of the distilled sample while creating far less “wear and tear” than wiped film distillation systems. Wiped film systems can cause grooves in the glass, damage to the glass walls, and even necessitate costly and frequent repairs depending on how often the machines are run. As the saying goes, this isn’t our first rodeo, and we’ve had a lot of time to think about all the tiny details that go into building the world’s most effective and affordable short path distillation apparatus. We know that output is important to you and that your livelihood depends on getting results. Our systems can achieve greater output – in far less time – than our competitors. And unlike some companies, you won’t have to wait all year for custom glass parts to be made. When you see these systems for yourself, you’ll recognize that they’re built like a tank. They say the devil is in the details… In how it all works together. In taking the time to focus on when, where, how, and why a component fails. It’s the mentality of constantly improving that has lead us to our current generation of kits and complete systems. We put our phone number on the top of every page because we want you to know that this brand is built on integrity, hard-working people, and longevity. We’re in it for the long-game, and we’re here to stay. When you purchase from Lab Society, you’re also getting world-class technical support. We help our customers long after the sale is made, that’s how we create customers for life. Ask us about our comprehensive training programs, so you and your staff can get educated and up to speed on how best to use our kits and products in your own laboratory. We’re confident that we’ve created industry-defining fractional distillation solutions for our market. We know that you need our products to work for you, not just run once and break due to faulty engineering and poor quality control. If you couldn’t already tell, we’re extremely passionate about short path and vacuum distilling supplies, and we only have the finest equipment for sale. We use our short path kits on a daily basis in our own labs, and we are always learning more from our customers and from our staff. We’ve put a lot of time and effort into each short path kit! We believe that there’s a big difference between slapping a sticker on a cheap product and calling it your own, and actually taking the time to build something of value. Real product development takes time. Building new products that meet the demands of the future is hard work. You might be surprised to learn how long it’s taken us to get our flagship short path distillation products and distillation heads to market. But great quality is great quality. And that’s what Lab Society is all about! 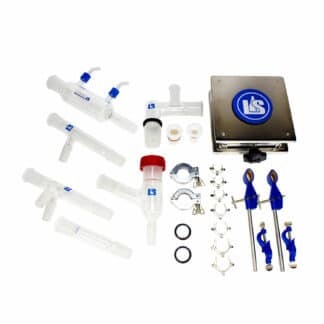 *Note: Our complete kits do not come with vacuum pumps or with chillers by default. We can bundle them for you if you like, we just leave them out to accommodate our customers who already have these items in their lab. 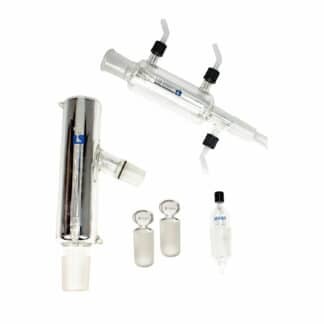 We also recommend that for a complete lab set-up, consider pairing a kit with a rotary evaporator or a vacuum oven! This also gives you the freedom to buy the versions of these items that you like best and create your own, custom solutions. Call us for recommendations, or if you want us to build a kit just for you. The term gets its name from the short distance that distillates travel in these systems. Typically, the distillate only has to travel a few centimeters in total. 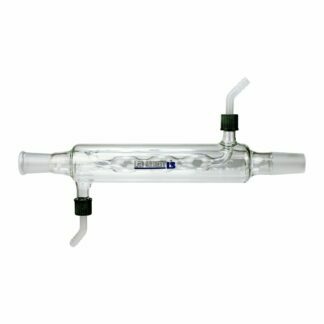 With a vacuum applied to the total setup, the distillate passes from one flask (or another piece of glassware) to another, which separates and purifies the sample in the process. A heating mantle heats the substance, which vaporizes your desired end product. These vapors rise up through a distillation head, where they condense and trickle down into one or more collected evaporating flasks. The simplicity of the system makes it so effective and easy to use! While the initial sample or compound may have undesirable substances contained within, the resultant output is a highly pure, condensed, final product. In some cases, a second pass may be desired, but this is usually due to operator error or to a problem occurring with the first pass. Thanks to the reduced pressure of the vacuum system, the amount of heat necessary to achieve your desired results can be considerably lower than it would otherwise have to be. 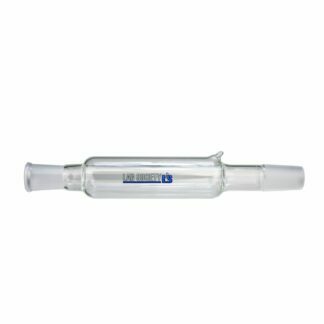 This is especially useful for sensitive organic compounds which may have adverse reactions (or even combust) at higher temperatures. Reduced pressure safely lowers the boiling point of your compounds, giving you a pure distillate without damaging your valuable products in the process! Fractional Distillation is not a new method. In fact, there are numerous methods to separate compounds, and short-path distillation is just one widely accepted way. Distillation systems are commonly used for the separation of oils, fats, chemicals, fragrances and other compounds. Wiped film and short path distillation are the two main types being used in the industry today. There are numerous machines and methods for achieving separation of compounds, but this section will focus on short path, wiped film, and how you can decide which one is right for you using logic and reasoning alone. Wiped film (or rolled film) evaporators are usually towards the top of a user’s budget, and some systems can cost upwards of on hundred thousand dollars. Short path kits, on the other hand, are in the several thousand to low tens of thousands range. Short path will give the user a much more modular approach to a distillation setup, where numerous heads can either be added or removed to increase production output. Consider production output vs. cost to make a decision. Production output versus cost is a key factor when considering which system to purchase, and the ability to alter the flow rate of the system is of the utmost importance here. 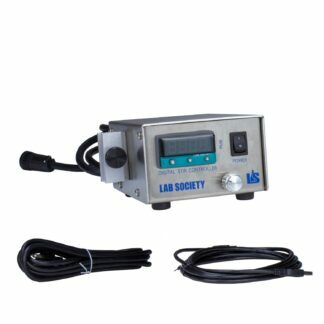 While both systems have adjustable output, only one will gain or lose lab space as you change the output rate. The removable heads on short path systems will also allow them to fit into numerous places around the lab. This allows you to move the unit with ease, and you can (re)set up the kits in varying configurations to increase lab flow. Which solution is better for lab flow? Lab flow is very important in a lab, because you want everything to be as efficient as possible. Wiped film set ups are usually stationary. If they are seated on a moving cart, they may only be able to fit in specific places. 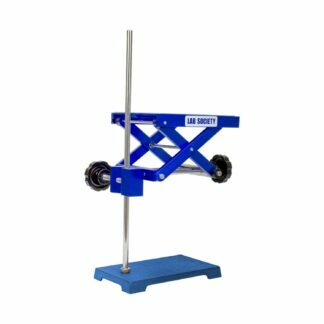 This can reduce lab flow drastically, especially when you only have a limited space in which the machine can be placed. Furthermore, cleaning these massive systems can be a challenge. Summary: making an informed decision. 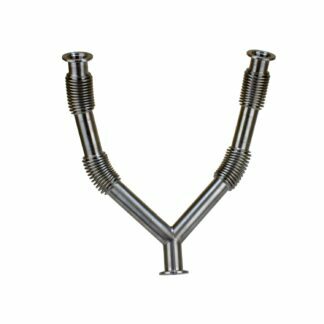 During the use of these machines, broken parts can and will happen; Short path distillation parts will be considerably cheaper to replace when compared to a wiped film distillation setup. Wiped film systems contain an array of specialized, unique glassware, which if broken would be very expensive to fix or maintain. Short path distillation units, on the other hand, employ the use of more economical glassware. Not only are these components less expensive to reproduce, but they also achieve the same end products. While separation is absolutely possible with both units, you should ask yourself if spending the extra money for the same results is worth it for you and your laboratory. These costs compound when you factor in not only the initial cost but also the cost of annual maintenance and the limited functionality of the equipment. From our point of view, one solution is the clear choice over the other when you look at the facts from a business perspective.